The team of partners in the project Head in the Clouds defined a clear task division, based on each partner’s experiences, expertices, access to tools and access to the target group. Partners actively involved in the development of the educational materials, the evaluation process and the documentary meet online on a weekly basis to discuss the status quo and the next steps. Every two or three weeks this group also meets the implementing partners working with the target group online, to get feedback, and to explain the new material that they will receive or have received. Between the meetings the team is in constant contact through emails. The Technical University of Vienna oversees and coordinates this process. Head in the Cloud foresees four physical meetings. Two already took place – Vienna and in Prague, spring 2016 – in the preparation of the project’s implementation. Two more will take place in 2017 and 2018. On the 19th and the 20th of May 2016 the team met for the second time – in Prague, in the office of SCIO. 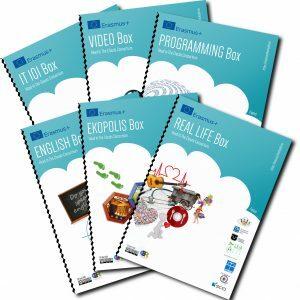 The outcomes of the research and needs assessment and the next steps were discussed, and the team did a first trial run of a educational boxes. On the 22nd and 23rd of May 2017 the team met again, this time in Kosice, Slovakia. We discussed the developments of the project’s implementation – lessons learned, things to be improved and positive observations made. Based on this the plans for the coming months and the last educational boxes were made. On the 7th and 8th of June 2018 the team met for a final meeting in Vienna, Austria. This meeting served to discuss the final evaluation of the project, Multiplier Events, reporting and follow-up projects. 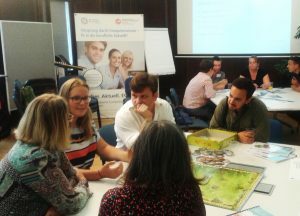 It also hosted a public Event “World Cafe” to inform Austrian partners and interested stakeholders about “Head in the Clouds”.